So let’s talk about women empowerment in India. Its 21st century guys and we still have to make plans on women empowerment. 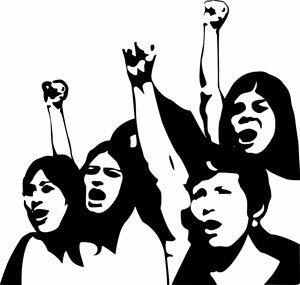 Empowerment of women with education, strength, jobs, equality, to fight from bad guys (you know) and to consider them as equal and powerful part of society. 95% of people must be unaware of this term and just continuing the treatment they give to women. It’s not their fault guys, they are totally ignorant and ignorance is bliss, so they are using their bliss to fulfill their requirements, whatever it may be physical, mental, house keeping, sexual ?let’s not talk about it. Beti Bachao Andolan is on its peak, so what; female feticide is also on its peak, male female ratio is increasing every year. India is 4th most unsafe country for women. So guys where are we heading? Are we actually providing some strength to women or we are just empowering our wealth and assets by exploring these new policies, there is lot of money involved in it, believe me, you can’t even imagine. Unaware of need of women, common man is still utilizing the wide exceptional abilities of women to handle every situation from childhood to full blown man. We are grown up in societies where there is difference since birth in rearing male and female baby. Father‘s shoulder starts drooping as soon as baby girl takes birth. On the contrary, father’s chest grows wider when baby boy takes birth. Then there is difference in education; boy goes to convent and girl to government school. Of course, why to spend money on girl, when its no worth in future. I tell you guys, these ignorant and unaware people are expert in Gambling at least; they don’t put money on weak horses. Now, it’s time for marriage. Boy family has all the right to fulfill their materialistic needs suppressed for several years and yes, they don’t have to pay the servant now as they are hiring life time services free of cost, I told you guys they are expert in gambling, why should I remind you again and again?. Girl family now has to give up all their material needs and borrow money for dowry, which has to be paid till life and death. Sounds like a Bollywood movie, but it’s a bitter truth please digest it for God sake!! Truly we are not smart people when this system of grown-ups (part 2) and failure still there. Ok enough of details, let’s come to focus now, if we really want to do women empowerment, we need to create awareness to these unaware and ignorant people about all these issues. There is a great need to put a dent on thinking and society brain, so that can reset their customs and culture. Put an antiEgovirus in Male brain. Till the time we consider men’s superiority over women, there can’t be any equality and harassment of women will go on. Change family environment and child rearing. Families should provide equal opportunities to grow by their choice to boy/ girl. There should not be any barrier, that girl should stay at home and boy will go outside and play. I mean why boys should have all the fun!!! Enroll moral education as part of school syllabus. Sounds traditional but it is required for positive and healthy influence on mind of growing children as negative influence is everywhere and you can’t negate it. Government! Will you please focus on poverty and education? 30% people are still BPL (? Below poverty line) and 40 % people are still illiterate. So please make policies to emphasize on ignorance and unawareness, rest, they handle by their conscience. Women should take responsibility of their dignity and slap hard on guys who are trying to interfere with sacredness of women. Dr Pankaj Verma is Senior Doctor, Medicine in AIIMS, New Delhi, Interest in spiritualism, philanthropic attitude and professional knowledge of Medical Science and Meditation helped him explore the connection between the human body, mind power, diseases and human psychology. Increasing burden of physical diseases, mental diseases and moral degradation in the current generation triggered him starting this concept of teaching, treating and helping people to understand various aspects of life and maintain a healthy body, a beautiful mind and a great social life.